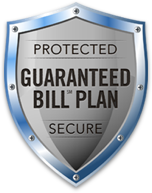 we’ve got the plan that’s right for you. Pay the same amount every month and enjoy piece of mind. Qualified new customers can enjoy our lowest available rate and no monthly service charge for the first two months! Enter the ZIP code to see if we&apos;ve got you covered.